In conjunction of my 20th Birthday, I will be giving away TWO Clean & Clear Fruit Essential Facial Cleanser (100ml for each bottle) ! 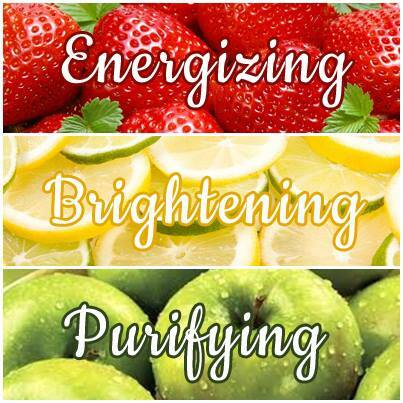 Clean & Clear Fruits Essential range are designed to "wake" teens up through its uplifting technology. With this Clean & Clear's fun and fruity essential, we can beat up the morning blue with our refreshing face! Fruit essentials range contains energetic 'bursting beads' in it, these beads are designed to soften gradually. As we wash our face with the cleanser, mechanically this will cause the beads to pop on our skin and yet gently pull out all the impurities on our skin. Fruit essentials consists of oil-free formula and anti-bacterial which can prevents our pores from clogging and keeping pimples / blackheads at bay. Each variants are uniquely formulated to suit our different skin type. Energizing Berry contains raspberry extract which is rich in Vitamin C and Vitamin B3, as they are both antioxidants substance that helps regulate skin-cell turnover. Keep our tired skin energized and recharged! Purifying Apple contains apple extract which has mild exfoliation properties, helps to remove dead skin cells and impurities on our face. Stay away from clogged pores! Brightening Lemon is a rich source of Vitamin C which can brighten our skin tone as it has antioxidant properties, giving us a glowing appearance and uplifted spirit. Keep your dull face away! 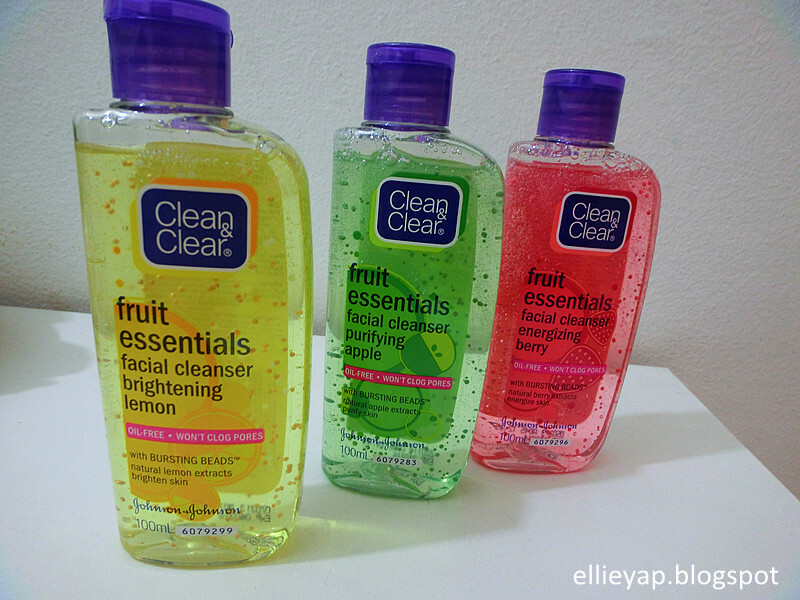 Let's wake up and stay fresh with Clean & Clear Fruit Essential Facial Cleanser! How to win yourself something fruitylicious? 1. "Like" my page on Facebook. 3. 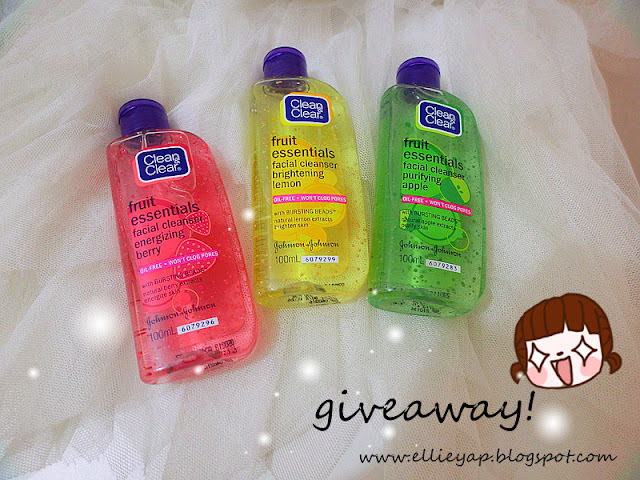 Leave a blog comment, tell me "which is your favorite cleanser and why?" 4. "Share" this giveaway and tag my page. *Open to my readers, valid in Malaysia only. *Make sure your Facebook account is opened to public. *The most creative comment will be chosen as winner! *Deadline will be at 16th of June 12am.